the interior incised with a central peony spray below a band of peony meander in the well and a key-fret border at the rim, the exterior relief-decorated with similar meander below a narrow foliate scroll border, covered in a slightly blue-green glaze -- 6.3in. (16.2cm.) diam., wood stand. Purchased from John Sparks Ltd., London, on 16 July 1954 for £58.00. 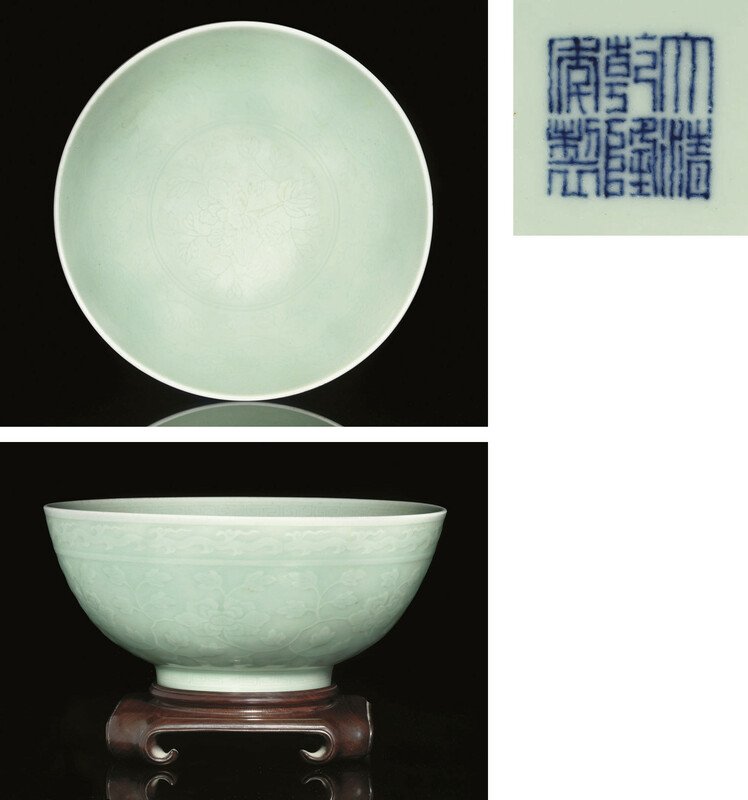 Compare similar bowls sold at Christie's Hong Kong, 28 November 2006, lot 1587, and 29 May 2007, lot 1526; and at Christie's New York, 19 March 2008, lot 641.